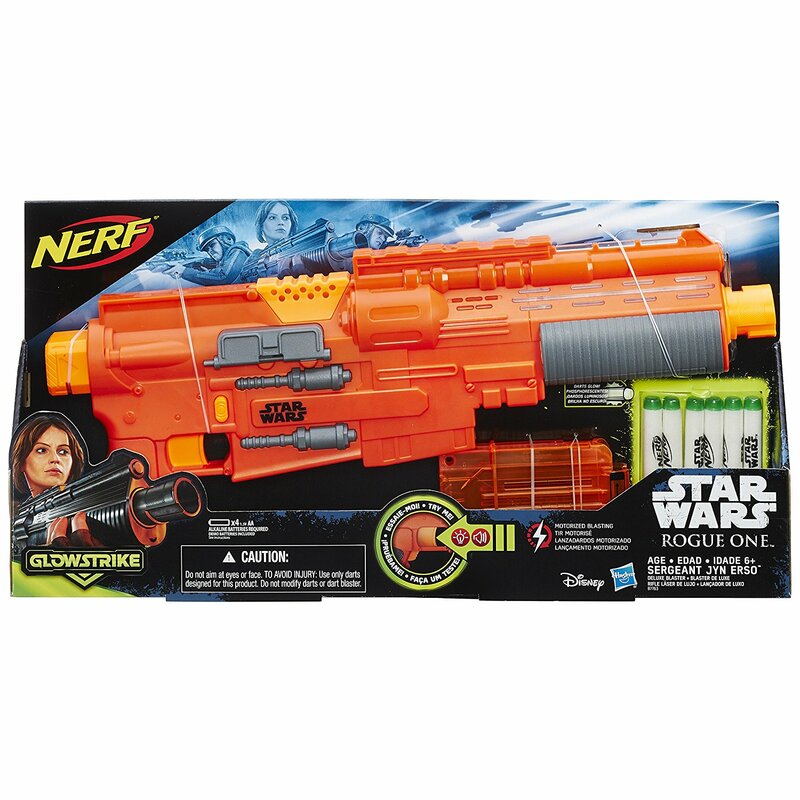 Charge into battle like the Rebel Alliance soldier Jyn Erso from Star Wars Rogue One with this blaster that fires glow-in-the-dark darts and features laser blast sound effects. This Star Wars Nerf blaster features GlowStrike technology that creates glowing light effects and charges the darts to make them glow when fired. 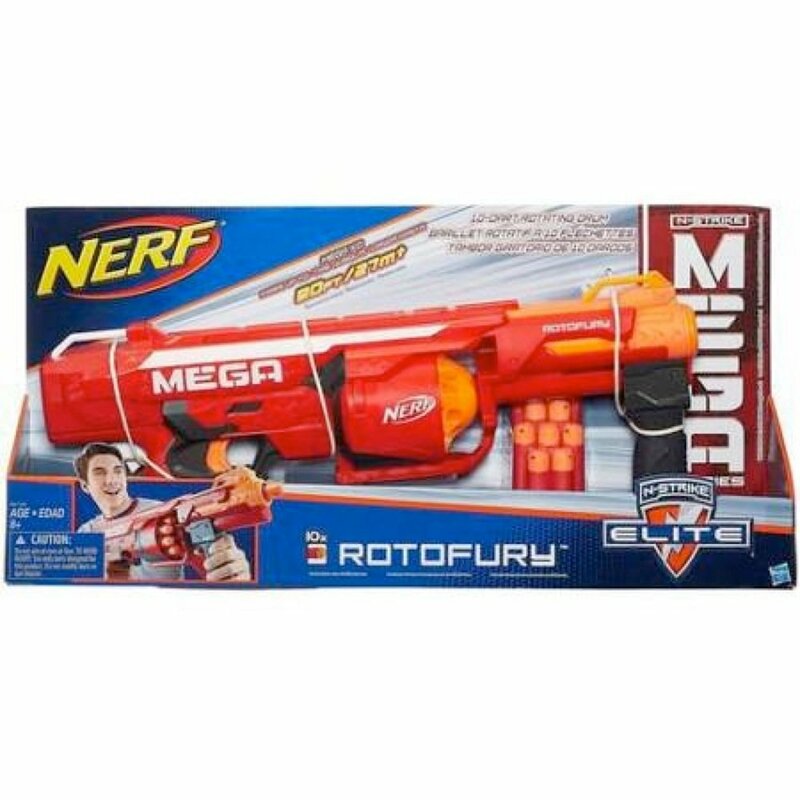 Take aim at a target, and unleash glowing darts with trigger-activated launching from this motorized blaster. This Star Wars Nerf blaster makes electronic laser sound effects when fired, punctuating the action with the sounds of battle. It comes with a six-dart clip and six Elite GlowStrike darts.